Get the wheels of your campaign spinning. As part of our Street Media initiative, Wild on Media has mobilized advertising and found the most environmentally friendly way to do it! 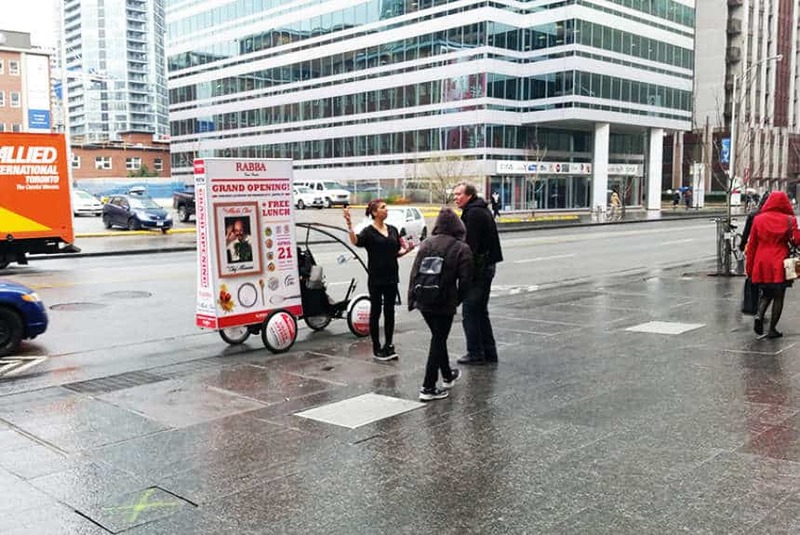 AdBikes offers a unique marketing effort that puts your campaign’s message on the streets where the people are! 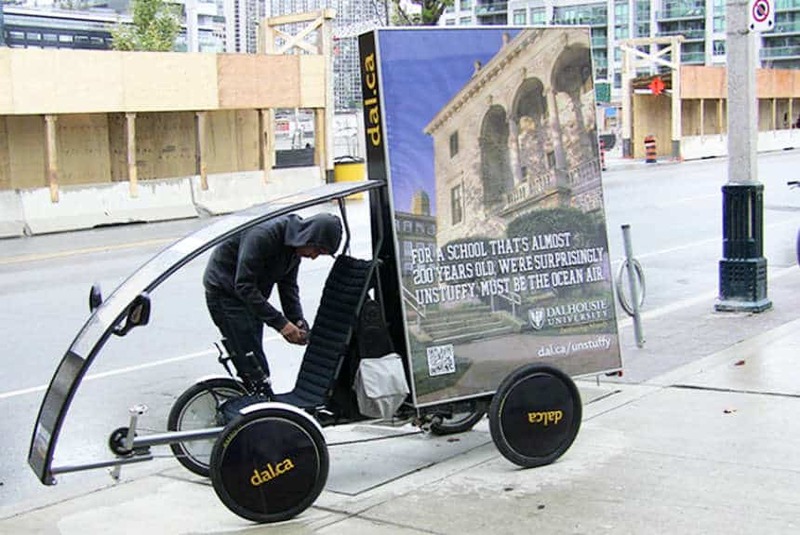 These are custom manufactured bicycles that act as mobile billboards. They are equipped with a two-sided sign that is illuminated by the finest LED technology also your ad is placed on the windshield and wheel covers. These signs are tailored to any company’s specifications and will effectively communicate the marketing message to anyone in eye-sight. Better yet, our crisp and high-quality speaker sound system assures that those only listening will be reached as well. Our Ad Bikes are equipped to play MP3 audio format files and will deliver your jingle, commercial or PSA in the best way possible. Wild on Media concerns itself with delivering our client’s campaign message to the greatest amount of people. 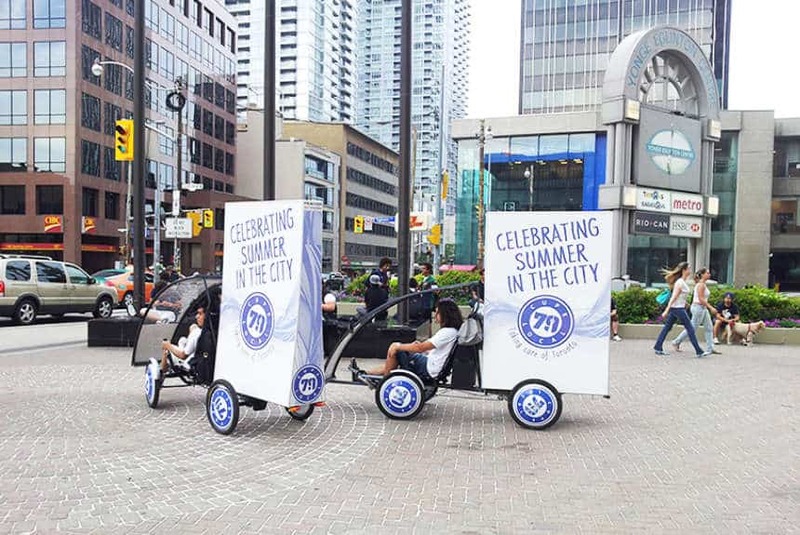 There are several benefits to using AdBikes for this mission as opposed to other effective forms of out-of-home advertising. Bicycles are perfect for maneuvering through areas of the city that are the most congested with people and traffic. 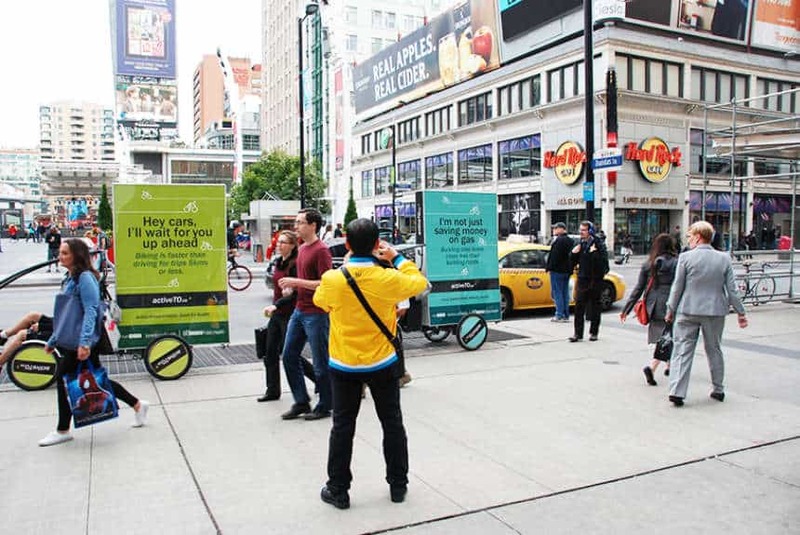 This is precisely where your campaigns message should be advertised and by making sure your ad is seen on street level, where the consumers are, you ensure more people will be reached. 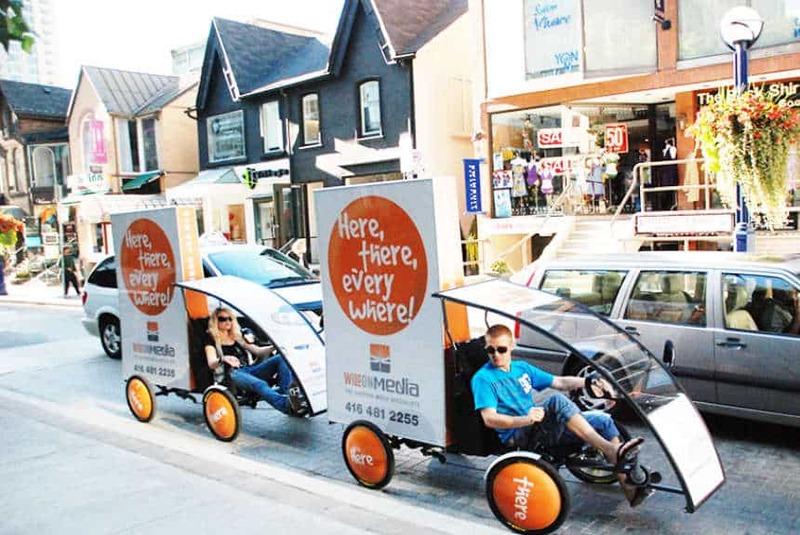 AdBikes are great for targeting busy sections of the city but they also work at large events and festivals. Once again, the bicycle has an advantage in that it can travel to areas where automobiles might be limited. Thus, your company is seen by more people in those areas that were once hard to reach. Due to the slick and futuristic aesthetic of the Ad Bikes they are impossible to ignore. People gravitate towards anything that’s new and exciting, and when they see our AdBikes in action they will no doubt be delighted. Of course, the effectiveness of this medium has much to do with the person actually riding the AdBike. We go to great lengths to ensure that the individuals we hire are trained professionals. These are people who live on their bicycle and are experienced in navigating through the bustling city streets in a way that’s both safe and efficient. They know the major streets and side streets like the back of their hand and will keep your message mobile and constantly moving. Life in the bike lane can be exciting and unpredictable and our bikers are quick on their toes and diligent in their routes. When they come across folks on the streets they make sure they deliver a winning smile along with their winning advertisement. For a more effective campaign, bikers can even deliver promotional materials to everyone they encounter. This could be any manner of brochure, coupon, swag item or free sample that will win over potential consumers. Along with these benefits, your company also becomes associated with green marketing practices. AdBikes, being a human-powered mobile medium, not only promotes adverting but also the healthy lifestyle of cycling. It’s healthier for our air and for those doing the riding. You can demonstrate this motivation on all pedestrian paths, service roads, park areas and mall sites around the GTA. People will be impressed and intrigued at your company’s progressive marketing strategy. Please feel free to call our office with any questions you may have. We would love to discuss further how our companies can work together to bring your message to the people.